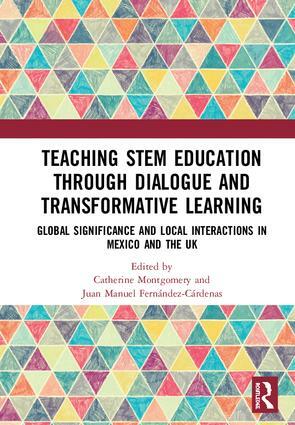 This book focuses on reconceptualising the teaching of STEM education through dialogue and transformative learning, presenting examples of research from Mexico and the UK. It centres on research which introduces critical pedagogies in the teaching of STEM, where in the past there has been an over-emphasis on content and a technicist perspective on Science. The research in this book considers critical and dialogic approaches to teacher education for STEM subjects and emphasises the crucial role that teachers play in improving life chances for marginalised young people and their communities. STEM education is not just a way of improving a country’s GDP, but if taught through dialogic and transformative pedagogies it can enable teachers to empower students to improve their own lives. The collaboration between these two countries is timely and comes at a time when Mexico is developing and emerging as a key global economic nation. The work presented here engages in theoretical and empirical work that has application beyond the two countries. This book was originally published as a special issue of the Journal of Education for Teaching. Catherine Montgomery is Professor of International Higher Education in the Department of Education at the University of Bath, UK. She has worked on international and comparative research projects in Denmark, Mexico, and Vietnam including the British Council project which underpins the research for this book, focusing on the role of dialogic STEM education in addressing social and cultural disadvantage in Mexico and the UK. Juan Manuel Fernández-Cárdenas is Full Professor of Education at Tecnológico de Monterrey, Mexico. He has led several research projects and has published more than 75 research articles, refereed chapters, and books. His research interests include the conformation of communities of practice mediated by the use of digital technology, in particular in STEM education.